Dr. Novotny’s current research focuses on the environmental impacts of tobacco use, the susceptibility to smoking initiation among young Chinese women, the interaction between tuberculosis and smoking, and health diplomacy. Thomas E. Novotny, M.D., M.P.H., DSc (Hon) is currently Emeritus Professor of Global Health in the Division of Epidemiology and Biostatistics and an Adjunct Professor of Family Medicine and Public Health at the University of California, San Diego. He is Board Certified in Preventive Medicine and has specialized in health systems development, non-communicable disease control, and health diplomacy. 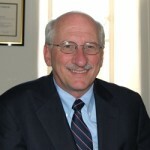 Prior to his academic career, he was with the U.S. Public Health Service for 23 years, serving as a Family Physician in the National Health Service Corps, as a Centers for Disease Control and Prevention’s (CDC) Epidemic Intelligence Service Officer in the Colorado Department of Health, as a Medical Epidemiologist with the CDC’s Office on Smoking and Health, as CDC liaison to the UC Berkeley School of Public Health, as CDC liaison to the World Bank, and as Assistant Surgeon General and Deputy Assistant Secretary for International and Refugee Health. At UC Berkeley, he was Professor of Epidemiology and Assistant Dean for Public Health Practice. While with the World Bank, he worked on analyses of the economic aspects of tobacco and health, health systems reform in Eastern Europe, and HIV/AIDS policy. He was an editor and contributor to several Surgeon General’s Reports on the Health Consequences of Smoking, and he has published widely on tobacco and health, HIV in Eastern Europe, and health diplomacy. In partnership with the Graduate Institute of International and Development Studies (Geneva), he has developed executive training and curriculum in health diplomacy and is a co-founder of the Academic Consortium on Health Diplomacy. From 2002-2008, he was a Professor of Epidemiology and Biostatistics at the University of California, San Francisco, School of Medicine, where he developed curriculum in global health, health diplomacy, and clinical research. He was recognized by the UCSF Academy of Medical Educators for his excellence in teaching.  He was Co-director of the Joint PhD in Global Health and Professor of Epidemiology and Biostatistics at SDSU from 2009-2015, where he was recognized as Outstanding Graduate Professor in the College of Health and Human Services and as Outstanding International Scholar by the Scholars Without Borders. He is the Editor of ‘21st Century Global Health Diplomacy,’ World Scientific Publishers, 2013, and he is a member of the Council on Foreign Relations. In 2015, he was awarded an Honorary Doctor of Science degree by his Alma Mater, the University of Nebraska Medical Center. SeriousFun Camps: PhD and Masters Students may participate in an ongoing partnership with a program funded by actor Paul Newman’s Foundation (SeriousFun Global Partnership Program) to evaluate camps for HIV-positive children in Ethiopia, Vietnam, India, and elsewhere. Contact Dr. Thomas Novotny for more information.